Square Foam Cake Dummy Riser - 1" H X 10" Dia. 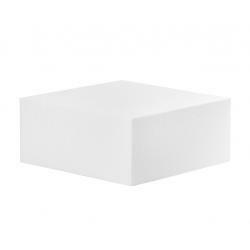 Square Foam Cake Dummy Riser - 1" H X 11" Dia. Square Foam Cake Dummy Riser - 1" H X 12" Dia. Square Foam Cake Dummy Riser - 1" H X 4" Dia. Square Foam Cake Dummy Riser - 1" H X 5" Dia.